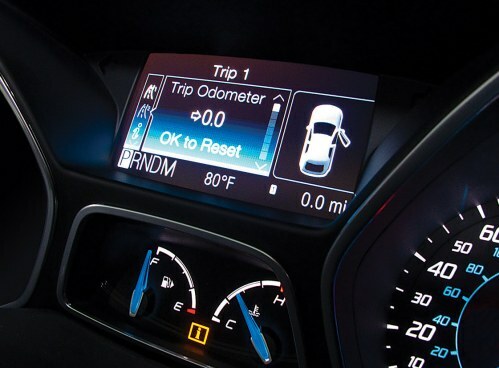 The award-winning Ford SYNC® AppLink™ software program, the free software program that gives SYNC users voice control of apps stored on their smartphone, is migrating to a new group of 2012 Ford vehicles. The expansion of AppLink™ will give more Ford owners the opportunity to enjoy intuitive voice control of and access to their smartphone apps on the go. In support, Ford Motor Company (NYSE: F) will expand the connectivity team fourfold, as well as a threefold increase or 2,500 more jobs for the independent developers community. Regarding specific vehicles, the 2012 Ford Fusion, Fusion Hybrid, Fiesta, F-150, F-150 SVT Raptor, Super Duty, Expedition, E-Series and Shelby GT500 join the previously announced 2012 Ford Mustang as AppLink-equipped vehicles. According to Ford’s media release, more mobile innovations are on the way, especially when 2,500 independent developers already signaled they are interested in creating more apps for Ford through the company’s dedicated SYNC develop website, www.syncmyride.com/developer . For the record, the recently released, J.D. Power and Associates 2011 U.S. Automotive Emerging Technologies Study reports 86 percent of smartphone owners indicate they use their device while in their vehicles. In a separate National Mutual Insurance 2010 study, more than one in four Americans who download smartphone apps admit to using those apps while driving. Adding AppLink as a factory-installed, standard feature of SYNC on a wider range of vehicles, puts Ford further out in front in the race to integrate smartphone apps in to the car. Fact of life is, vehicle owners are increasing their demand of the features. Currently, more than 84 percent of 2011 Fusions sold are equipped with SYNC, the F-150 coming in at more than 76 percent for the optional in-car connectivity system. - Scheduling and planning apps that could include notifications of flight status, for instance, in the event flights are delayed or rescheduled. Recently I drove Ford Explorer 2011 and totally agree with this story. Ford Sync was so advanced and it was so easy and to use Smartphones with Sync, I was very much amazed. I think Ford Sync is one of the most advanced in-car technologies at present.